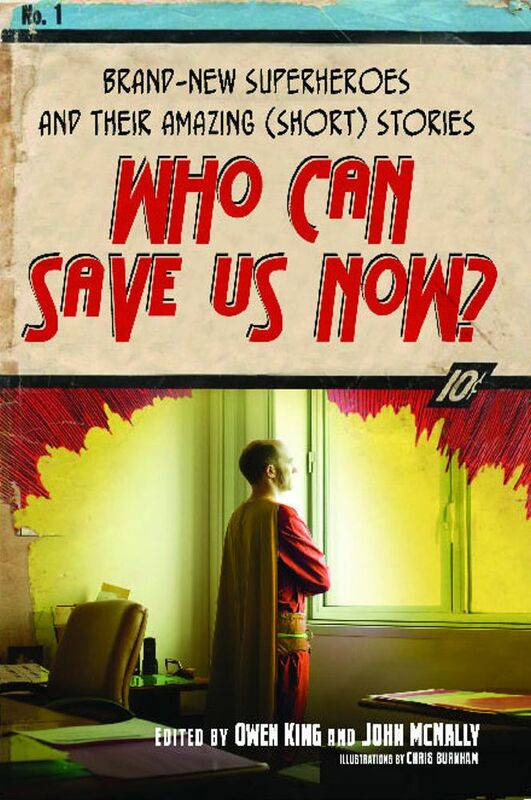 Twenty-two of today's most talented writers (and comics fans) unite in Who Can Save Us Now?, an anthology featuring brand-new superheroes equipped for the threats and challenges of the twenty-first century -- with a few supervillains thrown in for good measure. Edited and with contributions by Owen King (We're All in This Together) and John McNally (America's Report Card), Who Can Save Us Now? enriches the superhero canon immeasurably. With mutations stranger than the X-Men and with even more baggage than the Hulk, this next generation of superheroes is a far cry from your run-of-the-mill caped crusader. From the image-conscious and not-very-mysterious masked meathead who swoops in and sweeps the tough girl reporter off her feet; to the Meerkat, who overcomes his species' cute and cuddly image to become the resident hero in a small Midwestern city; to the Silverfish, "the creepy superhero," who fights crime while maintaining the slipperiest of identities; to Manna Man, who manipulates the minds of televangelists to serve his own righteous mission, these protectors (and in some cases antagonizers) of the innocent and the virtuous will delight literary enthusiasts and comic fans alike. With stunning illustrations by artist Chris Burnham, Who Can Save Us Now? offers a vibrant, funny, and truly unusual array of characters and their stories. Owen King is the author of the novel Double Feature and We’re All in This Together: A Novella and Stories. He is the coauthor of Intro to Alien Invasion and the coeditor of Who Can Save Us Now? Brand-New Superheroes and Their Amazing (Short) Stories. He lives in Upstate New York with his wife, the writer Kelly Braffet, and their daughter. John McNally is the author of two novels, The Book of Ralph and America's Report Card, and a short story collection, Troublemakers. His next book, Ghosts of Chicago, a collection of short stories, will be published this fall. A native of Chicago, he lives with his wife, Amy, in North Carolina, where he is associate professor of English at Wake Forest University. The first word he ever spoke was "Batman," who has remained, in his darker incarnations, his favorite superhero. John's first creative work, a play written in the fourth grade, featured an overweight superhero who gets stuck inside a phone booth while changing into his costume. He is happy to return to the genre, albeit thirty-four years later.